For me, the most important thing about a bedroom has always been the dark. I’ve wanted it to be as dark as possible, so I don’t wake up with the sun on my day off and my body clock isn’t confused by the street lighting if I wake up in the night. But I’ve recently come to realise that the light is every bit as important as the dark when it comes to bedroom. You don’t want to keep your other half awake while you read. So, actually, lighting in the bedroom is every bit as important as it is in the kitchen or the living room. Modern technology also means that your bedroom lighting doesn’t have to be limited to a pendant light and a couple of bedside lamps. Here are our five tips for getting a well-lit bedroom. The popularity of the smartphone and ubiquity of home wifi has meant that many phone-controlled lighting systems have developed, allowing you to control the lighting at home via an app. But these are also very useful for bedroom lighting, as you can turn off the lights with a press on your phone, as well as adjust the mood in the room. You can even set the lights to go off with a timer if you like to fall asleep as the lights dim. It’s as simple as setting sleep on your bedside radio. Phillips Hue is a whole system of lighting for your home, whereas LIFX sell bulbs you can control via wifi. Other systems such as Hive also incorporate smart LED bulbs. We usually associate spotlights with the kitchen, but they work just as well in your bedroom. 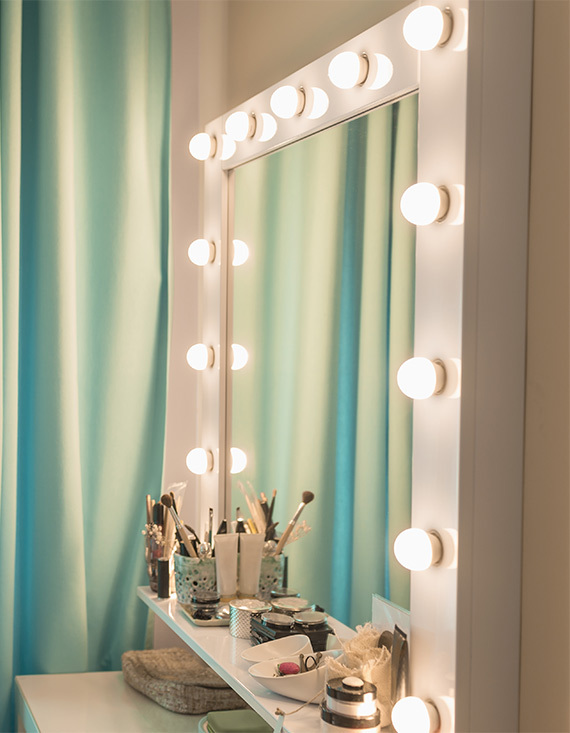 Have LED downlights or spotlights installed and you can select your lighting to focus on the wardrobe, dressing table or your reading material. LEDs use far less power than traditional bulbs, so you’ll be saving money too. Taste often dictates the design of bedroom lamp that you’ll choose, but it’s well worth looking at the type of light and flexibility when you think about a reading light for your bedroom. 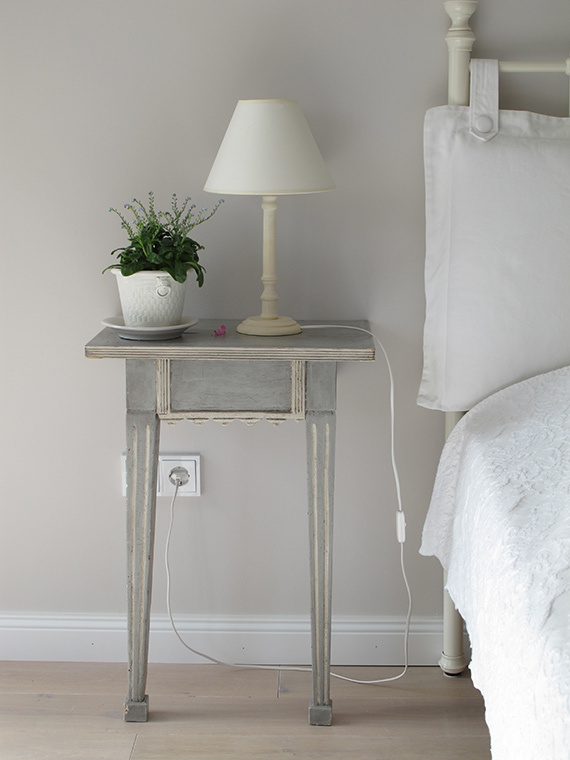 You may wish to go with the traditional bedside lamp or a posable office-style lamp, but you should also consider built-in lamps as well as those that are effortlessly flexible. The ability to move a reading light around is vital, as the size of text can change (as can your eyesight over time) and you may want to keep the light out of your partner’s eyes if you share a bed. Something that can offer pinpoint lighting and be altered to illuminate a wider area is ideal. 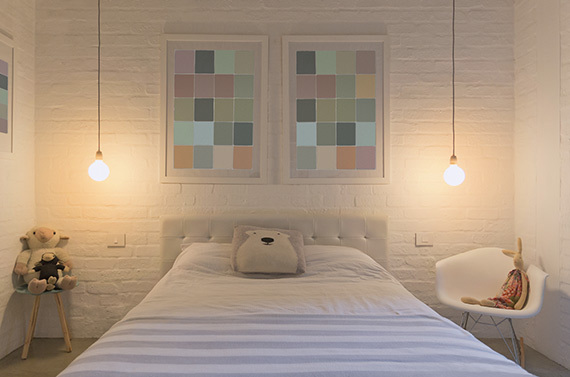 There are lots of opinions about which kind of light is best for the bedroom. You’ll want bright light on a winter’s morning as you get dressed (so you don’t end up with odd socks or blue tights instead of black), but your needs are different when going to sleep. LEDs emit a good deal of blue light and halogens are more like daylight, so you may wish to go with bulbs that emit a pink, orange or red tone. It could be more difficult to read, but you’ll certainly feel more relaxed. Pendant lampshades are often something of an afterthought. We buy cheap and plain because we need something and want it to go with the variety of décor we have in a room. But in the bedroom, you can afford to go with something unusual and extravagant that you love. After all, this is one of the main decorative features of the room and you won’t have to explain your choice and outlay to visitors. Unusual shapes, lined shades and even chandeliers can look great in the bedroom. Discover lighting ideas for your hallway with Hamara Mazdoor, or if you need to sort the electrics in your house before you switch things up, an electrician can help. Boiling Water Taps – Yes or No?